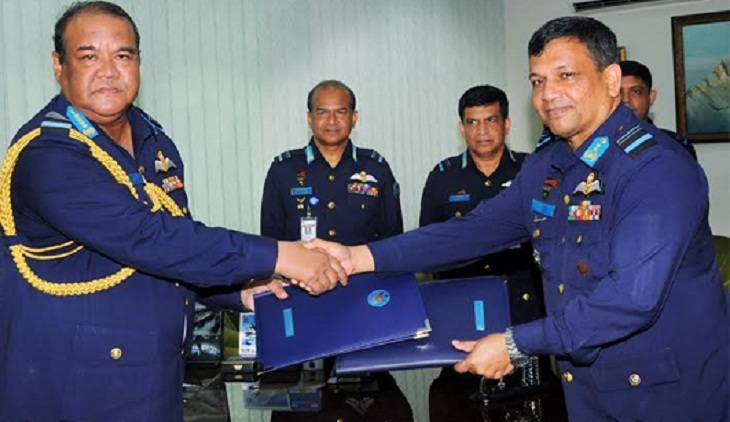 The newly appointed Chief of Air Staff Air Vice Marshal Masihuzzaman Serniabat took over the command of Bangladesh Air Force (BAF) at Air Headquarters this afternoon, reports BSS. Earlier in the morning, Air Chief Marshal Abu Esrar paid homage to the members of Armed Forces, martyred during the War of Liberation in 1971, by laying wreaths at Shikha Anirban. Later, he signed the visitors’ book.